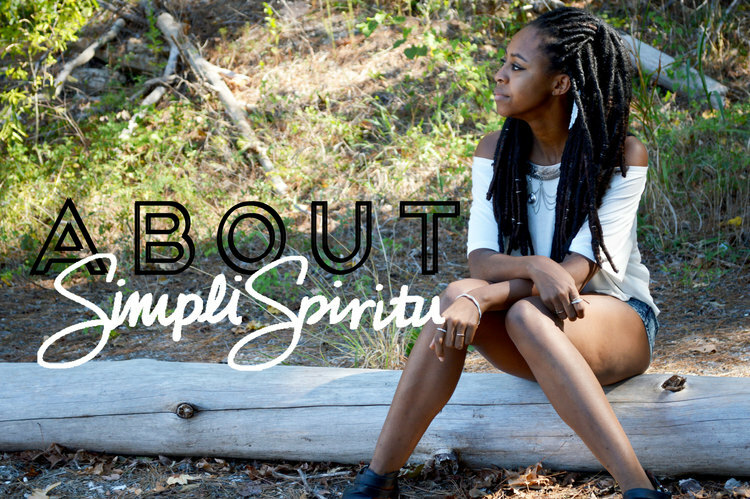 Simpli Spiritu is for the individual that's wild, free and constantly on the hunt for that one-of-a-kind piece. This just-for-fun lifestyle blog is focused on showcasing inspiring artisans, music, fashion and art all over the world. So many amazing artists, brands and musicians are located right under our noses and the mission of this space is to curate the best of the best of the underdogs. There's something thrilling about finding new designers and this space is meant to showcase their products and processes. This blog does not explicitly follow trends, I will never post something that I don't believe to be either informative or inspiring. Instead this site was created with the purpose of exposing others to new brands, concepts and ideas! The aim of Simpli Spiritu is to support on-the-rise fashion designers, musicians and artists and share their unique stories with you all. Simpli Spiritu may be considered a "small" blog, but it's chalk full of passion and curated by my adventurous heart. This blog is about producing quality content, not having a large amount of followers. I'm really quite content staying true to my free spirited roots. I hope the stories you read encourage you to take the road less traveled and inspire you to follow your dreams. So what are you waiting for? Go get lost in a feature and start your own adventure!